The CTC have had an online forum for discussing cycling issues for several years. The previous forum software was custom-built and was starting to show its age. In particular it was difficult for the CTC to moderate forum posts, leading to negative comments about the forum and then the CTC in general. 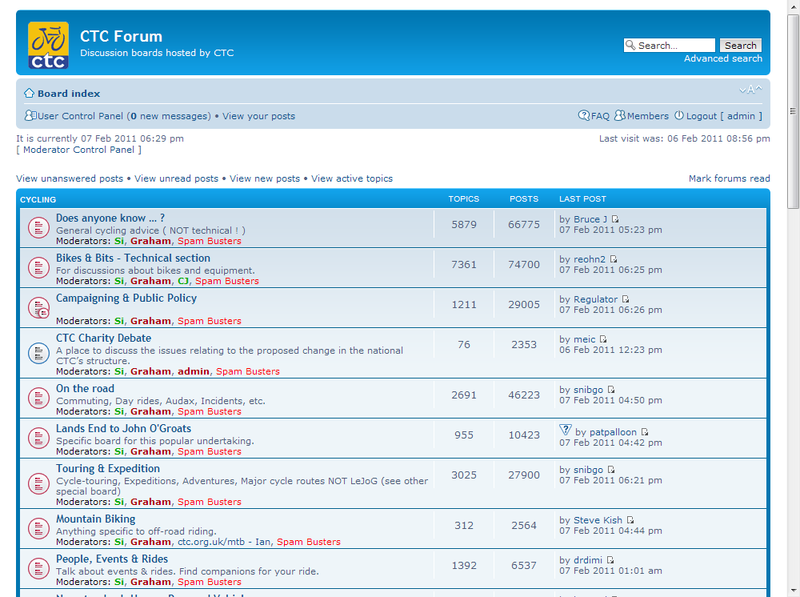 In January 2007 the CTC forum moved to be hosted by Fonant, using the popular phpBB forum software. With suitable additional modifications to minimise spam registrations and messages, the forum has proved to be very popular. A few incidents have occurred where messages have needed moderation (both spam and potentially libellous comments) but these have been quickly and effectively dealt with using the new message board features. The new forum has more message boards than the old one, and many more features for users, including the ability to upload images. The new forum has proved to be robust against spamming and abusive posts, with effective moderating tools. All the messages from the old message board were successfully imported into the new board, and a re-direction system implemented so that links to the old forum posts redirect correctly to the relevant message in the new forum. This means that the large amount of information accumulated has not been lost. As of mid-Feb 2011 the forum has had 337,176 messages posted to it, and there are 14,309 registered users. 6.7 Gbytes of data transferred. 25.2 Gbytes of data transferred.